Now on to your next stop. Click the cute image below to be taken there! 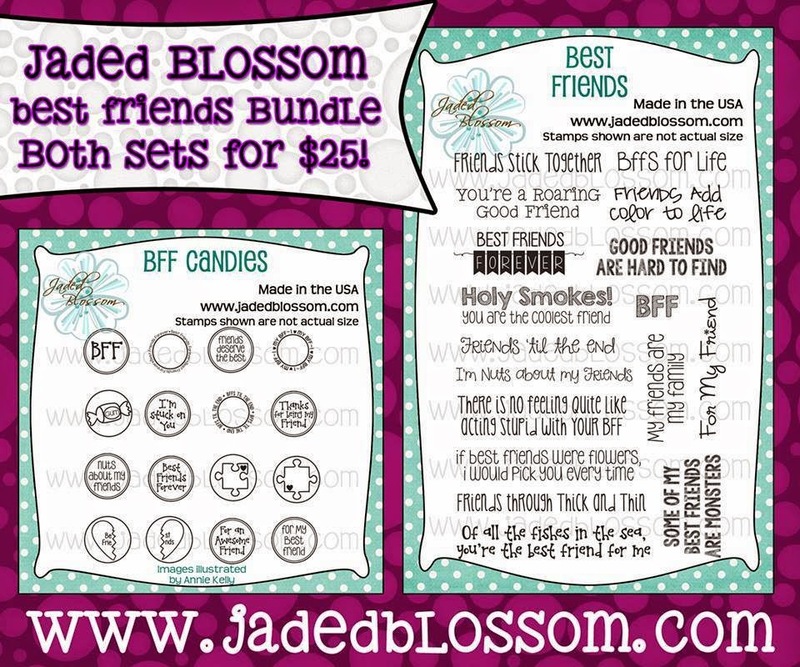 perfect witht the stamp set! amazing project, I love batman!! My hubby is just the biggest Batman Fan - I so have to make this for Fathers Day....thank you!!!!!!! Hahahaha! Batman and Robin look fantastic! Love their pose and smile. What a fantastic project. Love em! The are so adorable. Love Batman and Robin. Awesome card...love everything about it! Really does look like a page from a comic book. You ladies are amazing. Love that sentiment. So very cute -- love how you did the background!! Love how you made it look like the background was from a comic book. lol, love the cheesy smiles! Batman & Robin totally remind me of growing up....this is adorable!! Great job. Que lindo!!! Meu filho de 2 anos, vai amar!! Great idea for a heros party. Batman and Robin are so cute and the best superhero best friends! Love this! 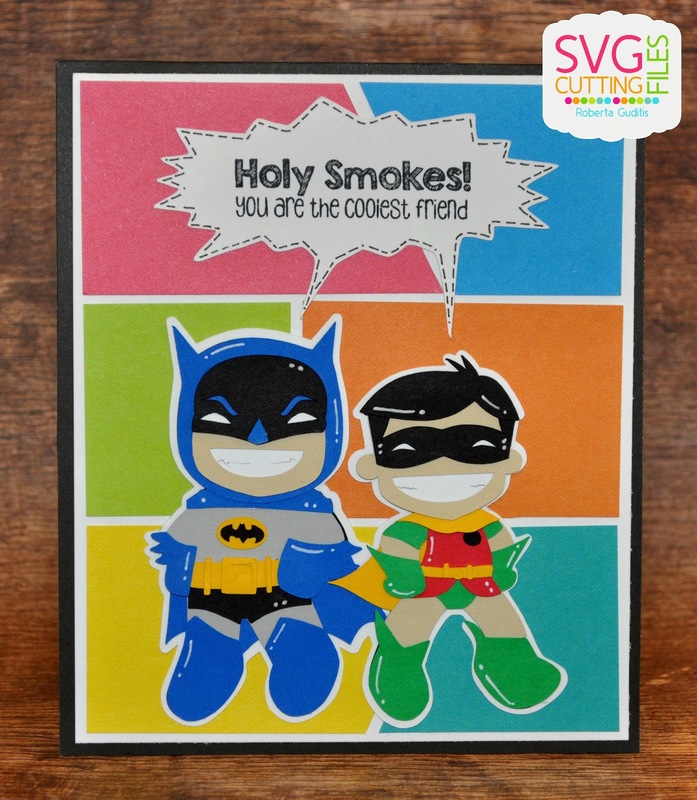 Great card and love batman and robin! Batman & Robin are really cute, but the coloured background is a real standout. I love it! my grandsons will love these guys. WOWOWOWOWOWOWWOW! Pow, KABOOM! Thats what I think I will be seeing after seeing your AMAZING project!!! GREAT JOB! You NAILED the comic book page!!!! Awesome!!! My 15 yrs old daughter loves loves loves Batman!!! LOL - need to make this one for my dentist - Great job. Love it! My son loves Batman! Ahhhhhh, this is so perfect for my son! Love, love, love this BFF pair. Great job. These two guys need to be filming a tooth paste commercial. This is a perfect card for little boys!! Love It. LOVE these guys!! GREAT comic "strip"!! Love the card. Great Job!! This is an all around awesome card. Oh the dynamic duo! Love them! Haha, their smiles are awesome! And your comic strip background really makes the card come together. TOO STINKIN' CUTE, SUPER DUPER job Roberta!!! LOVE IT :) Have a GREAT weekend!!! This is super cute. I watched my first Batman movie this past year. Now I love Batman. Can't wait to use he super files. Love it...they are super cute! Holy Smokes! This is absolutely adorable! Love them! Great file and great job! Love that they are smiling! Great job! Cutest Batman and Robin I've ever seen. Lovely job with the white accents. Ha ha..Batman and Robin!! What fun!! Batman and Robin... very best friends!!! I love Batman and Robin! Those big smiles made me laugh out loud! love the blocks to give the comic book effect. Love this! Thank you for your hard work. Awesome job making this comic strip card! I love everything about it:) Thank You for sharing. Everybody loves super heroes! Great project! I totally love this card! I love the comic strip background, and Batman and Robin are so cute. OMG! I love these two! Batman and Robin are cute. Bright and colorful card. Well put together. Very nice job, great project! Can these projects get any cuter, I swear I LOVE them all!! I like how you did the comic strip background and these two super heroes are perfect!! na na na na na - Batman!!! Love love love it! nice!!! love the back round and the word bubble!! Love Batman and Robin, really cute! Oh, these will be great. Birthday card is already in the mind. Super awesome. I have nothing like this is my files so I am really excited. My favorite so far... Great job! Ha-ha, great project! Love the background. Holy Smokes, Batman! Those are awesome! Batman and Robin!! SO cute!! Well thats clever! TOO CUTE!!! Great job! Love the background. My grandson would love these! YAY!! Finally something with Batman on it! These would be perfect for my grandson - TFS! Batman and Robin! An awesome duo! Batman!!! He and Robin are definitely BFF's!! I have done my sons room in a Batman theme, I am so excited to be able to add Robin. OMG!! My grandson LOVES this DYNAMIC DUO ... You did an AWESOME JOB!! I LOVE IT!! Great job! So talented and amazing! This is perfect for a little boy I know that loves super heros! I love how you created the background in this card. Batman and Robin--great for my grandson! Thanks for sharing. Nice teeth. Love their smiles! Super job! Too cute, who didn't love the original TV show? How fun! Love your color blocking too! Fun! Fun! This is such a fun project! Love it! I love it!!! Thanks for sharing. This literally made me giggle. :) Love their smiles. Super Cute....my boys will love this. Thanks for the hop! Super cool! Love Batman & Robin!